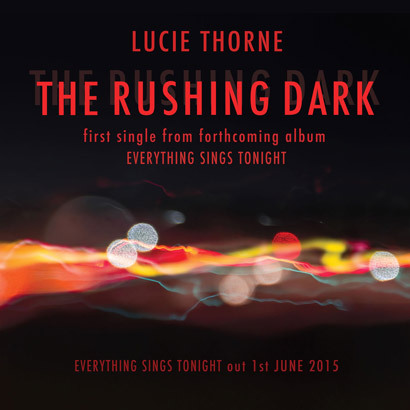 The Rushing Dark is the first single from Lucie Thorne’s forthcoming album, Everything Sings Tonight. An exquisite collaboration between Thorne and her long-time musical partner, legendary drummer Hamish Stuart, Everything Sings Tonight marks a bold and musically adventurous new direction for the pair. 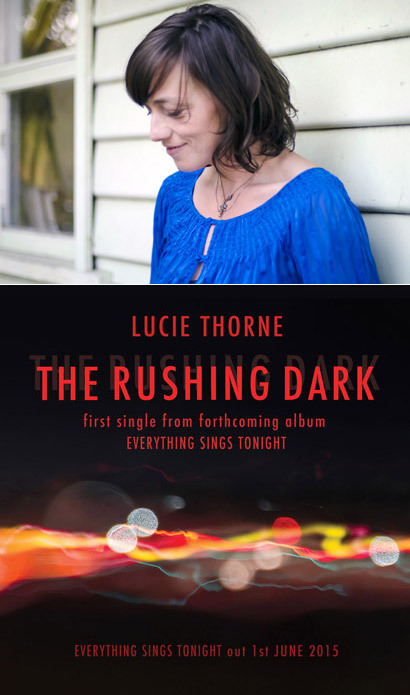 The lead single, The Rushing Dark, features Thorne’s signature poetics and heartbreaking harmony, buoyed by the effortlessness of Stuart’s drive. Add to this the musical magic of heavyweight special guests Bo Ramsey (Lucinda Williams, Greg Brown) and Chris Abrahams (The Necks), and you get a killer song. In the midst of a European tour late last year, Lucie and Hamish spent two days recording in Berlin. In this short time they recorded a body of work which traverses an expansive sonic palette; an album which chrysalises the pairs dynamic chemistry. With this at its core, Everything Sings Tonight also features cameo performances from stellar guests Greg Brown, Dave Symes, Chris Parkinson, Pieta Brown and Tim Thorne. Watch the video for 'The Rushing Dark' here.